Step 1 Preheat oven to 350°F. Using a sharp knife, cut wonton wrappers diagonally in half to form 60 triangles. Coat a baking sheet with nonstick cooking spray or line with parchment paper. Arrange one-third of the triangles in a single layer on prepared baking sheet. Step 2 In a small bowl, stir together oil, garlic and basil. Lightly brush the wonton triangles on baking sheet with some of the oil mixture; sprinkle with some of the Parmesan or Romano cheese. Step 3 Bake about 8 minutes or until golden. Cool completely on a wire rack. Repeat with the remaining wonton triangles, oil mixture and Parmesan or Romano cheese. 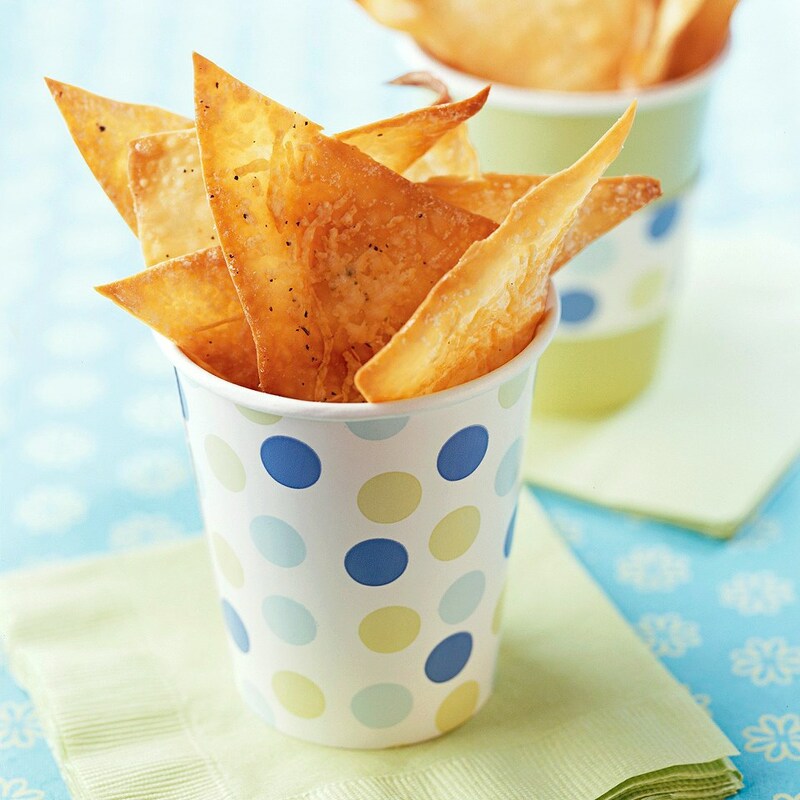 These homemade chips have lots of Parmesan cheese baked on top so there's no need for high-calorie dip.